• Fixed a bug with audio sometimes not stopping between pages. 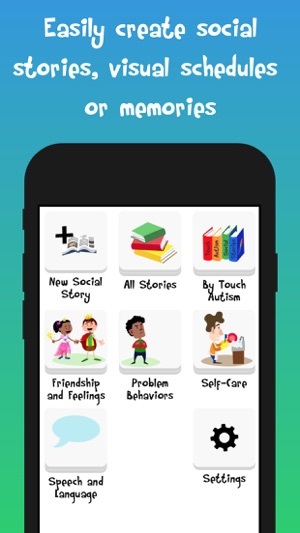 • Now you can print any purchased pre-made Touch Autism stories with the Pro upgrade! • Minor layout tweak and bug fix. • Fixed issue with saving category image. • Added the option to export story as a full or half page PDF. This was one of our most requested features. When exporting a story you can now choose half page or full page PDFs. Added a confirmation dialog before a story is deleted to prevent accidentally deleting a story. PDFs will now export as a smaller file size because the images are being optimized. In the previous version, the camera didn't work properly on some devices. • Fixed bug with downloading stories. Fixed a bug where some users needed to click the download story link twice to download a story. • Fixed long story sharing bug. In the previous version, some stories with more than 10 pages would have issues with sharing. • Cleaned up the PDF sharing and printing functionality and added more sharing options. The share and print PDF buttons have been combined into one, the new button opens a preview of the PDF, from the preview screen you have the option to print or share using one of many options such as email, airdrop, etc. 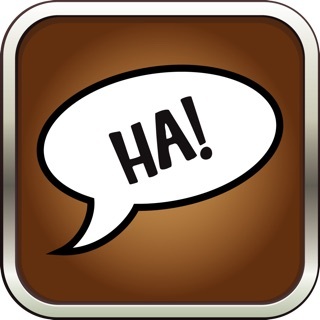 If you had in-app purchases disabled, the app was crashing when opened. Added option to select photos from albums not just recent photos. Fixes a bug with font sizing. You can now change the parent controls. You can pick between a simple math problem, Touch ID/Passcode or none at all. 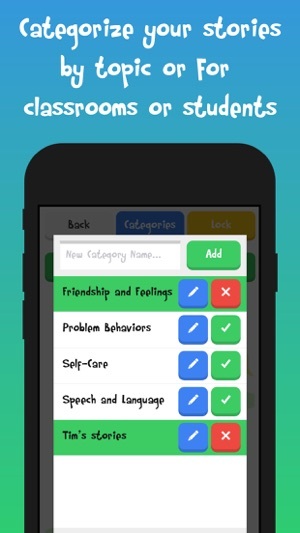 The app can now be locked to a category or story to prevent your kiddos from having full access to the app. Are some of your kiddos having trouble reading our font? You can now change the font of the user created stories to Helvetica which is as easy to read as it gets. We improved the PDF creation process, it's faster, supports the new Helvetica font, and is easier to use. • Swipe between story pages. 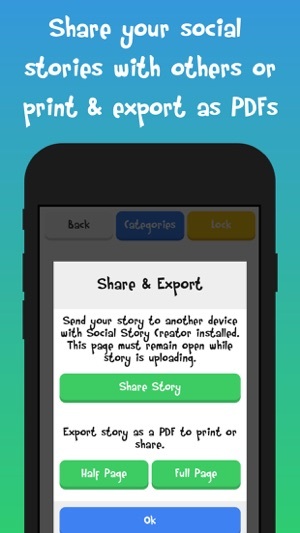 You can now swipe or tap to change the page when reading a story. 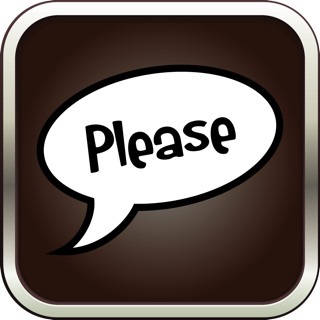 Would you like access to all our pre-made stories? You can purchase all the pre-made stories together and save 50%! This app has made my life as an OT much easier. 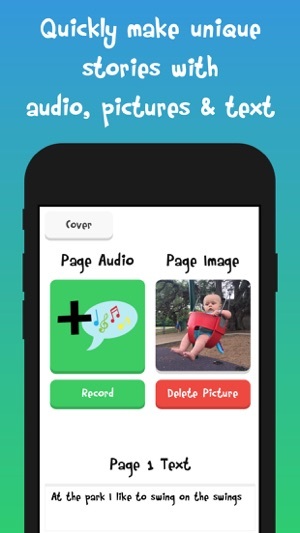 It’s so easy and quick to make social stories for kids, parents, and teachers. I just take photos with my phone and narrate the images. The only thing I’d change is the $30 required by myself, parents, and teachers in order to share the o line stories. You can print a free version or email family and staff a free pdf book to print, but if they want to the online version, they have to have the app. The app costs $30. I love that I can print PDFs of all of the stories to send home with my students. My students respond best to stories with pictures of themselves and making them with the app is so much faster and easier than using Boardmaker or another computer program. 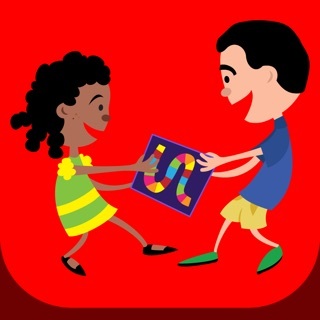 This app is amazing and my son loves it! 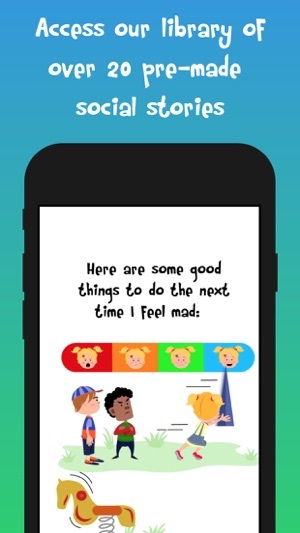 We were struggling with finding a way to help my son learn social behavior skills and this app has helped him in more ways than I can explain! He asked another kid to play for the first time after watching the stories! Thank you! !